Written by Rm Harrington on . Posted in Buying Tips, Cooling Tips, Mesa Air Conditioning. Hiring an unlicensed HVAC contractor may seem a great method for reducing the costs of Mesa AC services or Mesa AC installation. But seeking services and skills from a bonded, insured and licensed Arizona AC Company provides better long-term solutions to your home heating and cooling requirements. In this article, the techs from American Cooling and Heating provide Arizona residents a few tips on how to avoid the messy results of unlicensed HVAC contractors. Written by Rm Harrington on . 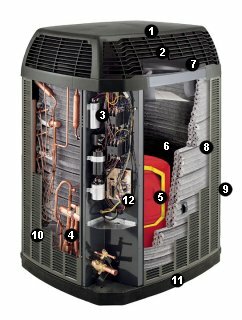 Posted in Arizona Air Conditioning Upgrade Sale, Cooling Tips, Maintenance. Phoenix air conditioning and heat pumps bring home cooling during the summer and home heating during the winter. Yet the excessively warm nature of Arizona temperatures may cause a bit of lapse in winter AC maintenance planning. After all, summer reports from azcentral typically deal with record-breaking highs. For example: On Sunday June 19, 2016 temperatures in Flagstaff, Phoenix, Tucson and Yuma set various heat records. It was a day when Phoenix came in at 118 degrees while Yuma temperatures punched a record setting 120 degrees (1). The need for severe winter weather air conditioning preservation is not foreign to regional Phoenix AZ. AND Phoenix – 39 degrees. In this article, American Cooling and Heating offers a how to on heat pump and Phoenix air conditioning preservation during severe winter weather. Poorly maintained air conditioning systems are subject to unnecessary points of failure. Although crafted to withstand even extreme weather changes and conditions, HVAC systems perform better when homeowners follow basic air conditioning preservation practices. The following tips lead to increased longevity in both heat pumps and air conditioners. HVAC & Accumulated Moisture… No cover will effectively keep moisture out of external air conditioning components. Evaporation draws water up from the ground. Humidity in the air penetrates any break in the seal of the cover. The splash of raindrops promotes moisture accumulation within the confines of the cover. HVAC & Rodent Control… By nature, heat pumps and air condensing units are designed to deter rodents from finding sufficient cover for nesting. Don’t void this purpose by offering rats a nice, warm, cozy external HVAC system. HVAC & Effective System Airflow… Air conditioning systems function by effective movement of air. A cover can hinder the system to the point of critical breakdown. An even minor obstruction to AC airflow can increase accumulation of mildew and mold. Bad weather sometimes causes a local outage of power. Problems during repair of the lines can cause multiple power surges to enter your home. If severe weather causes your household power to go out, you might consider tripping the main HVAC fuses until after the problem is fully resolved. Just as installing a cover can damage the exterior components of your heat pump or air conditioning condensing unit, so can wind blown debris. Be prepared for high winds. Keep yard furniture, toys and brush secured, stored, or effectively distant from your HVAC system. Severe Arizona weather: You never know when trouble will arrive. Keep the American Cooling and Heating service and heat pump sales number on hand. We run service trucks 24/7. Quick response. Fair pricing. And services are guaranteed. Written by Rm Harrington on . Posted in Air Conditioning, Arizona Air Conditioning Upgrade Sale, Cooling Tips. Home cooling in Arizona means installing air conditioning equipment that is capable of dealing with sequential months wherein the average temperature exceeds 90-plus degrees. In fact, Phoenix regional homes endure a season wherein heat increase rises well above 100-degrees for up to four consecutive months. It’s the kind of circumstances that make summer comfort almost as important as survival in below zero winter temperatures. With each passing year it seems Arizona residents are pressed into even more days of unprecedented high heat index numbers. So even though Trane HVAC and other HVAC manufacturers continue to introduce better energy-efficient heat pumps and air conditioners, the cost of staying cool keeps rising. More hours of equipment operation means greater costs for comfort. The following tips show how to reduce the load on your Arizona air conditioning system. Install Sunscreens – Perhaps budget conditions forbid installation of window awnings. Take a look at sunscreens as an alternative solution. Crafted from wood panels or louvered slats, sunscreens fit over windows in a manner similar to shutters. Install Window Awnings – Whether crafted from rigid or flexible materials, window awnings reduce the heat that transmits through the windows of Phoenix houses. Even windows facing South or North can benefit from installed window awnings. Overhangs – If a home is already completed, this suggestion doesn’t apply to the circumstance. However, for Arizona homeowners in the process of building, or perhaps doing some major remodeling, crafting wide overhangs will help shield windows and doors from the blistering Phoenix regional summer sunshine. Plant Trees – If planted at a proper distance from the home, trees offer shade and reduced inside heat gain. But some cons exist: Even quick growing trees take many years to reach a height that provides full benefits. Also, if planted too near a home, the roots of the trees can end up causing issues with the foundation. 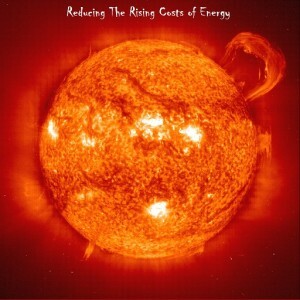 Stopping solar heat-gain involves external solutions. The second line of defense involves controlling heat gain from within the home. This means reducing indoor heat as well as keeping heat out. Adequate Home Insulation – To keep a cool home, install sufficient and effective insulation in the walls, the attic, and the crawlspace. Managed Air Flow – Close the windows and doors. Latch them. Proper home cooling demands a tightly sealed home. Leak Prevention – Find the gaps around the doors, windows, vents and electrical outlets. Seal them. Scheduled Applications – Appliances emit heat, some more so than others. Use a timer to schedule the dishwasher so that it only runs during the late evening hours. Plan clothes drying for late night TV time. Remember the “Off” Switch – From lights to televisions, stop burning electricity on devices not in use. Even small appliances resulted in accumulated heat spots. Ventilate – When bathing in hot water, use exhaust fans. Likewise when cooking on the range or even when running the dishwasher. Home air conditioning systems strip heat from the inside air. This means more cool for you. But not all systems function with the same efficiency. Every Arizona home is different, and requires a precise cooling configuration of equipment and installation. Ducted force d-air systems are the most common method of controlled home cooling. However, many components define the effectiveness of the installed A/C unit. Product selection based upon SEER ratings may seem simple and straightforward, yet the path to energy-efficient home comfort is often clouded by an assortment of additional calculations and considerations. American Cooling and Heating offers Arizona residents the finest home cooling resources available to the region. Competitive HVAC product and installation prices form the core attraction, but our 100% workmanship guarantee is what ensures that your home cooling equipment functions at a true Energy Star efficiency rating. From energy-efficient heat pumps, to central air conditioning units, ACH supports the full line of Trane home cooling equipment. For more information, call now. Written by Rm Harrington on . Posted in AC Service, Air Conditioning Technology, Cooling Tips. They keep asking the question: How can we improve air conditioning efficiency? Yet one must really wonder if these wonder appliances designed to improve the human lifestyle are actually any less efficient than other forms of current technology. To answer that, let’s take a look at recent reports posted in the pages of Scientific American. Accordingly, the United States expends more energy on heating and cooling than most any nation worldwide, averaging roughly 185 billion kilowatt-hours yearly (1). And it’s not all due to changes evoked by global warming or even by the current 20-percent growth rate of worldwide sales in air conditioning equipment. Face it: We live in an age when both businesses and homes expect year-around comfort. It means employees work more efficiently. Families rest more fully. In fact, throughout the industry of factories and care centers, HVAC equipment is often used to improve resident and worker safety concerns. But what does this mean, this term “inherently inefficient?” By what comparison is the statement driven? The imposed impression tends to define A/C equipment as though some great villain is loosed among us. But what is the measuring stick? Is it a comparison of comfort-to-cost versus necessity-to-cost? Or is the comparison merely applying performance and function to cost for usage? Furthermore unless the efficiency measurements that define the distinction between necessity and comfort meet criteria that are suitable to the homeowner or the business in question such measures are without value. Clearly current technology in air conditioning efficiency has not reached maximum capacity. Conventional systems continue to use refrigerants in the core cooling process. For cooling, heat is absorbed and then expelled into the outside world. For heating with a heat pump, the process is reversed. And in either event, the HVAC process demands use of electrically powered compressors, fans and pump systems. Efficient air conditioning doesn’t necessary mean that consumers will receive a create decrease in the cost of operation. To rightly measure this process, we must always balance cost to effectiveness. One new concept in heating and cooling involves replacing the typical super-powered fluids and gases with some form of solid material. By using materials such as bismuth telluride and other applicable solids as a means of absorbing heat, both refrigerators and other air conditioning equipment can be manufactured without use of so many moving components. This not only reduces the electrical demands, but it also reduces the possibilities of equipment breakdown. One strange point mentioned during many of the discussions concerning new cooling technology always seems to involve not so much the concept of cost as it does the concept of “necessity.” And it seems often to be a “necessity” that is also directly linked to comfort. Certainly the greater measure of HVACR research seems focused on life-saving applications wherein refrigeration of medical supplies, food and more come to the surface as the front-runners. However there is also much concern about providing efficient dehumidifiers and air conditioning for American military personal stationed in extreme overseas hotspots. And lastly, but not necessary least important is the question of how the U.S. as a nation and how the world as a whole is going to efficiently adapt to a future of increasingly extreme heat waves? Whether addressed as a “comfort” item or as a “necessity” item, we need air conditioning efficiency that includes cost-effective pricing, long-term energy efficiency, and effective performance. If air conditioning equipment is as declared by the 2013 deputy director of ARPA-E “inherently inefficient”, so too are our cars, buses and hot water heaters. HVAC technology is no less efficient than many other forms of modern technology. As to purpose performed versus the cost, for me A/C rates among the most valuable current pieces of home improvement equipment. For a free estimate on Arizona installation of efficient Air Conditioning products, contact American Cooling and Heating today. Disclaimer: The contents of this article are intended to provoke discussion. They reflect the thoughts and concerns of the author, and do establish any particular standing by American Cooling and Heating as an Arizona HVAC installation and service center. Air Conditioning Efficiency – Are Attic HVAC Systems Efficient? Written by Rm Harrington on . Posted in Air Conditioning Technology, Cooling Tips, Home Maintenance. In a recent report concerning home air conditioning efficiency, the U.S. Department of Energy challenged the wisdom of locating HVAC systems in an unconditioned attic (1). So what brings about this challenge to conventional A/C handling methods? Why would anyone want to air condition a space that is not used for personal comfort? If typical U.S. housing construction involves placing the A/C air-handling unit in unconditioned attic space, what benefits can be achieved by flipping the coin? According to Energy.Gov, placing components of your home HVAC system within the non-vented control of an unconditioned attic can actually increase heating and cooling-related energy consumption by as much as 10%. Several reasons promote this concept. However air loss due to A/C duct leakage may be the major factor. Current research evidences that duct air leakage often exceeds twenty percent of the regulated airflow. And that, my friend, results in a significant and controllable loss of energy. The evidence is in: Placing your indoor home HVAC components within a non-vented insulated and conditioned attic or crawlspace can provide a substantial reduction in energy expenditure. Although the attic may not be used as home living space, capturing and retaining the loss air flow results in improved home heating and cooling energy performance. However, fully sealing the attic tends to defy traditional house building codes. And we all know that things that defy tradition trigger an automated human resistance to change. So after years of being directed to construct your home with installed attic ventilation, why should we accept this notion of change? Along with other various energy-focused products and home design, Building American partners with world-class HVAC industry and HVAC research leaders to raise the standards in home air conditioning and A/C product performance. Ventilation enables moisture as well as warm air to escape from an attic. When attic-installed A/C equipment is not involved in the equation, vented attics with a well-sealed and insulated ceiling decks prove to be very efficient for helping reduce the cost of home air conditioning. However, if HVAC equipment, including air conditioning ductwork, is installed in the vented attic of an Arizona home, the energy consumption of that home may actually increase. Yet conditions to exist. If your Arizona air conditioning is installed in a home not purposefully constructed for a non-vented attic, updating to new standards can be costly and difficult. For example: standard home roof structures often include slopes that are inadequate for installing attic-wide top plate installation. Furthermore, the typical home attic includes installed flues, hatches, water piping, electrical wiring, and various difficult-to-work-with knee walls and ceilings. Unless your attic can be completely sealed, some measure of air leakage is unavoidable. The result: an increase demand on your heating and cooling system. Funds spend to increase Arizona air conditioning efficiency may actually increase your problems. It humid air from your living quarters escapes into a non-vented and conditioned attic space, condensation and moisture against the cold roof sheathing may become a potential calamity of accumulated mold and mildew. On the other side of the scale, if inside warm air seeps into a sealed and conditioned home attic it can heat the roof deck and result in an increased winter risk of ice dams. And better wind resistance as well as increased fire and rain protection for your entire roof. 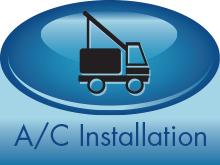 Maybe you are not certain about the conditions of your attic installed Arizona A/C equipment. Perhaps comfort in the living quarter is not a problem, yet the cost of staying cool seems out of hand. We can help. Call now for your appointment with a bonded, licensed and insured Arizona HVAC professional. The team at American Cooling and Heating is ready to provide 24/7 A/C repair, A/C replacement, and A/C evaluation.